The Lab is delighted to welcome The Necks for two performances on February 18 and 19. In their 30 years together, Chris Abrahams, Lloyd Swanton and Tony Buck have honed a process of building upon repeated motifs to conjure dense soundscapes. Every Necks’ performance is a singular event, 2 sets of approximately 45 minutes, entirely improvised and working with the acoustics of the room. The Irregular Resolutions composers group will present new chamber works for voice, piano, and other instruments. Zoe Stiller and BG Anaraki, of Oakland’s undo, play harsh, noise/ambient soundscapes that include voice recordings and samples from some of our lost artists. Guitarist Giacomo Fiore presents a historical retrospective of works for electric guitar, solo and with electronics, including rarities by Cesar Bolaños and Arne Nordheim; and works in just intonation for the Lou Harrison resophonic guitar, in honor of Lou’s centenary. Gather tips from experienced producers and musicians on developing and managing your musical projects. Roundtable discussion will be followed by speed coaching sessions from 1:30 to 2:30 PM. Weathers and Chrisman return for their third release together, Ogallala. Here, the duo explores drones, plucked rustic instruments, object percussion, and field recordings. 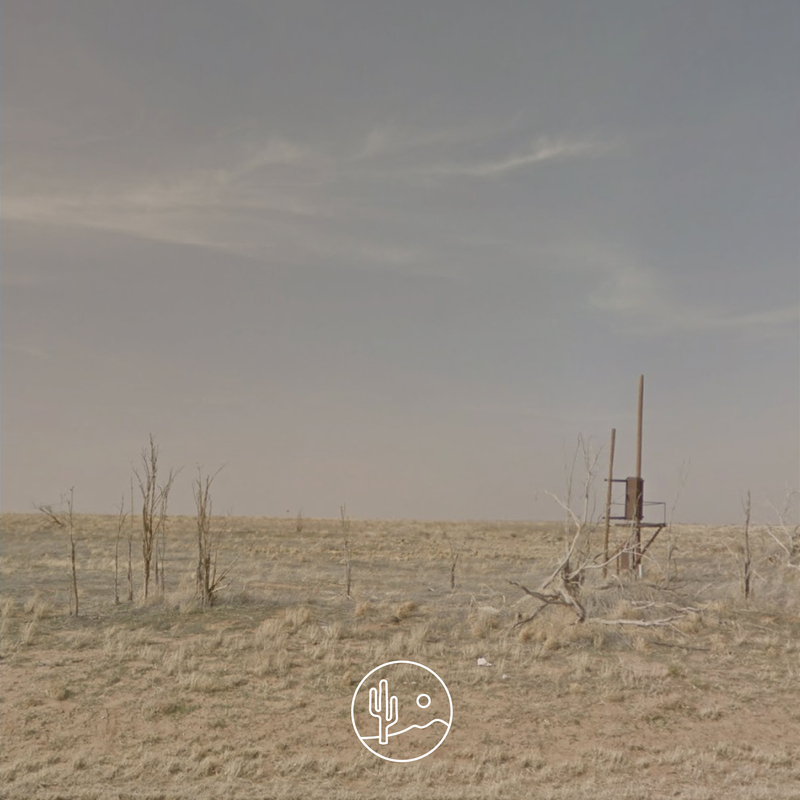 Recorded in rural Texas, the album has a haunted desert feel, evoking post-industrial landscapes. The four tracks include metal noises, rattling and scraping of objects, piano melodies, post-rock styled electric guitar, and the aforementioned drones. Acoustic guitar (or is it banjo?) adds to the vague southwestern character of the album. But there is also a quiet ambiance to long sections of these pieces, where it is easy for the listener to ignore the details and just absorb the atmosphere. According to the liner notes, “Weathers and Chrisman began to develop the raw tracks at night after spending their days performing [building] renovations…[a]fter spending long hours toiling under the Texas sun, they would collapse and drone out – a performative exhaustion ritual that bore rich fruits.” This captures the spirit of Ogallala quite well – an uncomfortable and temporary peacefulness. Audience members poured back into Cincinnati’s Taft Theatre on Saturday, January 14th for the final evening of the 2017 MusicNOW Festival presented by the Cincinnati Symphony Orchestra and organized by Bryce Dessner. In addition to the previous evening’s program—which included works by Andrew Norman, Matthias Pintscher, and folk singer Lisa Hannigan—the Saturday evening program culminated in “a heroic amount of music,” according to Dessner. Heroic indeed were the efforts of the Cincinnati Symphony Orchestra, which offered remarkable performances of Anna Thorvaldsdottir’s Reflections, the Ligeti Violin Concerto, Timo Andres’ The Blind Banister, and the U.S. premiere of Bryce Dessner’s Wires. Source: Dave Rempis. The Chicago Saxophonist hits the midwest U.S. and Europe. LAURIE ANDERSON AND CHRISTIAN McBRIDE at the Town Hall (Feb. 23, 8 p.m.). Perhaps the pre-eminent straight-ahead jazz bassist of the last 20 years, Mr. McBride performed recently at the Village Vanguard alongside the avant-garde stalwarts John Zorn and Milford Graves. It was an unusual setting for him, and something notable happened: His playing, always husky and swinging and commanding, took on a fresh sense of possibility. Here he continues his flirtation with the outré, appearing in an improvised duet with Ms. Anderson, the fabled experimental musician and multimedia artist. Her songs draw upon incantation and repetition — sometimes issuing subtle social critiques, other times simply heightening the senses. DAVID BINNEY at Nublu (Feb. 21, 8 and 10 p.m.). Mr. Binney’s lissome power on the alto saxophone has served him over the years in work alongside the tenor saxophonist Chris Potter, the jam-band experimentalists Medeski Martin & Wood, and even Aretha Franklin. His fine new album, “The Time Verses,” balances urgency and poise; you hear his decades of exploration across idioms washing up onshore. Here he appears with Matt Brewer on bass and Antonio Sanchez on drums. DAWN OF MIDI at the Park Avenue Armory (Feb. 18, 7 and 9 p.m.). Dawn of Midi is a trio of jazz-trained improvisers who make entirely un-improvised music. Their tightly arranged pieces repeat and accrue, sounding like a big machine but never evoking circular imagery or rotation. There is a constant forward drive. In Aakaash Israni’s tough, woody bass playing; the desiccated thump of Qasim Naqvi’s snare drum; and the obstinate patterns Amino Belyamani plays on muted piano strings, you might hear influences ranging from deep house to the Gnawa music of Morocco. Listen for them in this pair of performances in the Veterans Room. MOSTLY OTHER PEOPLE DO THE KILLING at the Cornelia Street Café (Feb. 19, 8:30 and 10 p.m.). The bassist Moppa Elliott and his cohort of young musicians take a twisted joy in ridiculing their own fascinations. In 2014, the band delivered its most infamous work, “Blue,” a note-for-note replica of Miles Davis’s complete “Kind of Blue” album. It was dead on arrival — which was the point, one assumes. The group recently reshuffled its lineup, expanding into a septet, and next week it will release “Loafer’s Hollow,” a playful new album of original tunes. The personnel on this show includes Steven Bernstein on trumpet, Bryan Murray on saxophone, Dave Taylor on trombone, Brandon Seabrook on guitar, Ron Stabinsky on piano, Mr. Elliott on bass and Kevin Shea on drums. Perhaps one of the most important issues currently facing symphony orchestras and contemporary classical music ensembles alike is projecting an image of accessibility; for Musica nova Helsinki, performance venues were a piece of the solution. Part club, part bar, and part performance space, Helsinki’s brand new G Livelab substituted the potentially uninviting concert hall with a more relaxed and familiar environment. The trendy vibe brought a noticeably younger crowd to the concerts held there over the first few days of the festival, but ambience did not come at the cost of performance quality—the space hosts an incredible sound system and intelligent acoustic design. Throughout the opening weekend, a versatile array of both electronic and acoustic musicians took the G Livelab stage, including Jan St. Werner, Tyondai Braxton, and Uusinta Ensemble.